Dr. Suresh K Jakhar is a faculty in Operations Group at IIM Lucknow. He has studied at IIT Delhi and IIT Roorkee. 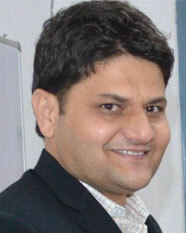 Earlier, he has worked at IIM Rohtak and SCMHRD Pune. His teaching and research interest lies in Game Theory, Revenue Management & Dynamic Pricing and Supply Chain Management.